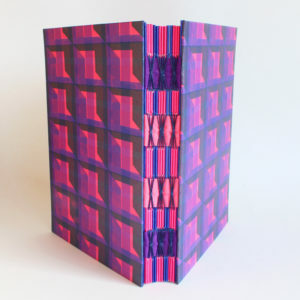 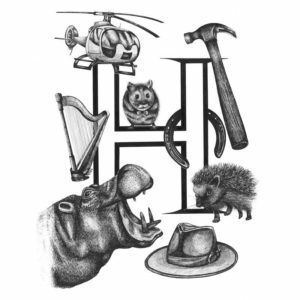 A6 hardback notebook or journal. 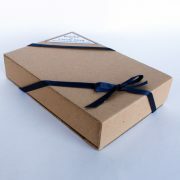 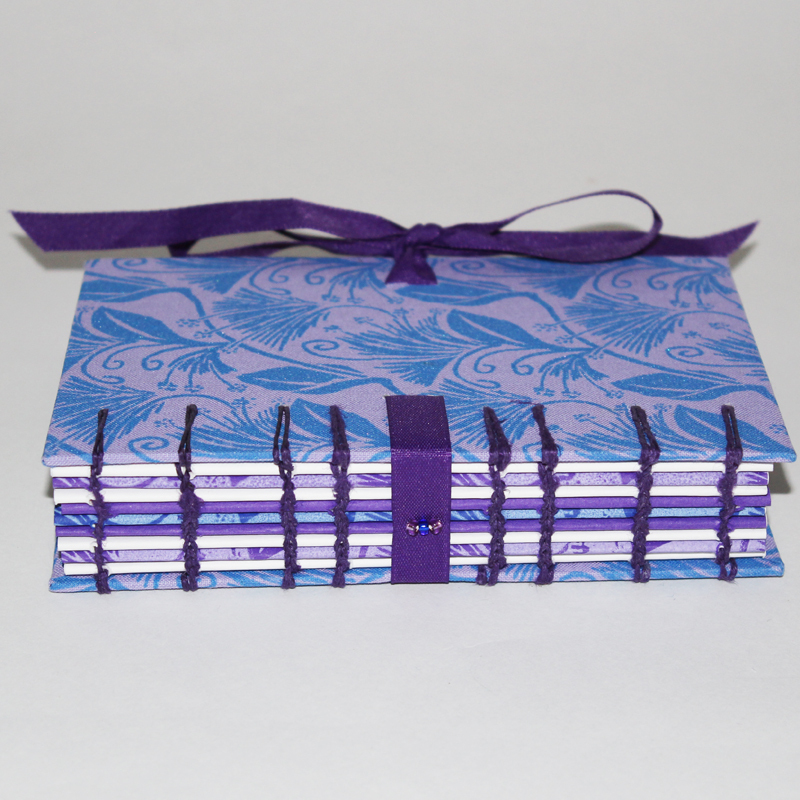 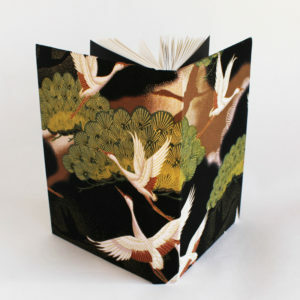 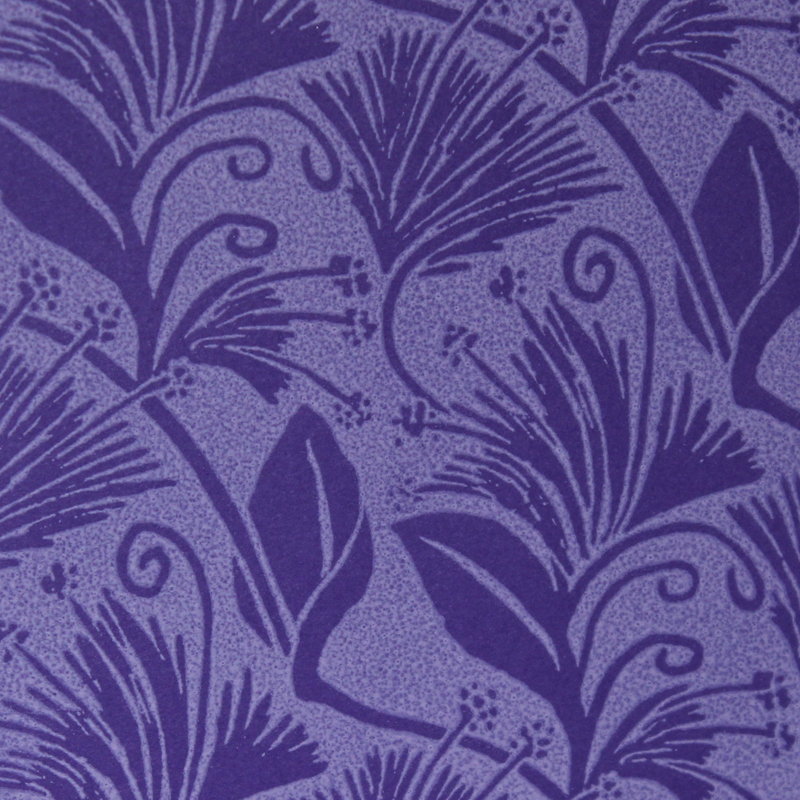 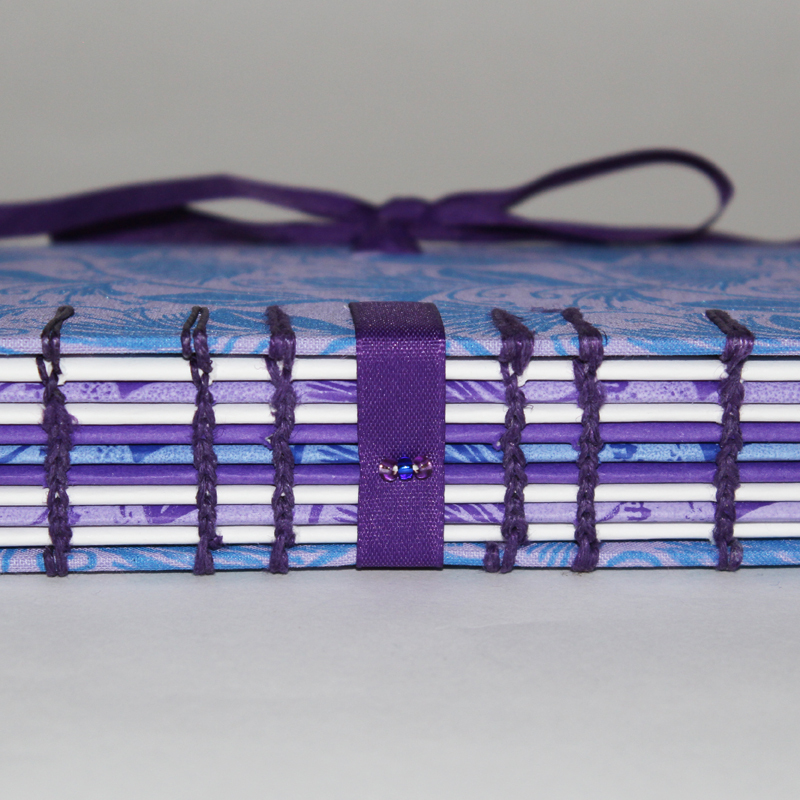 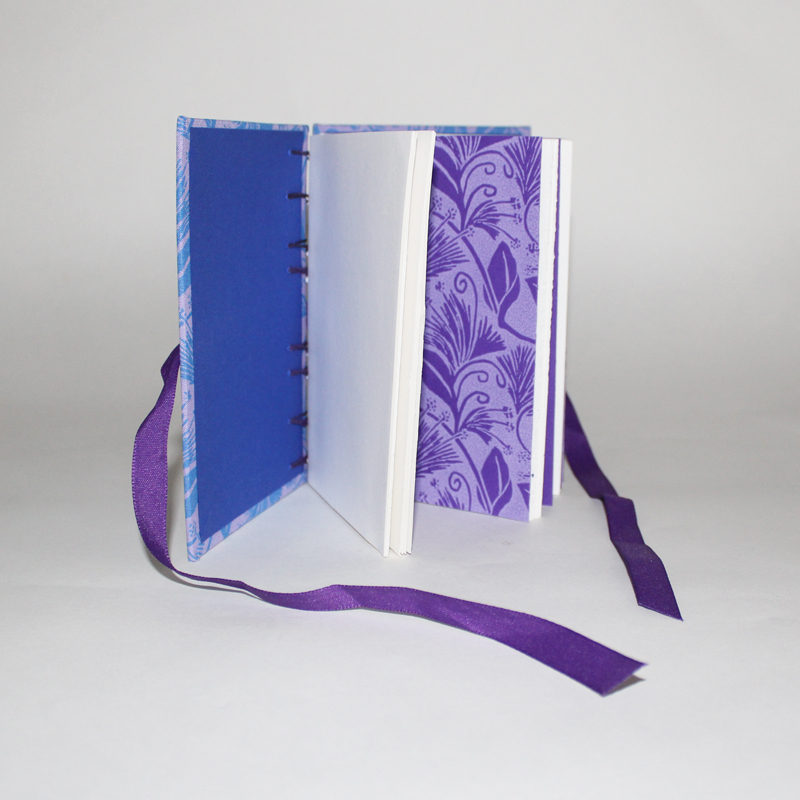 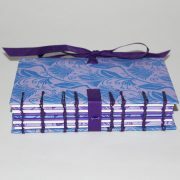 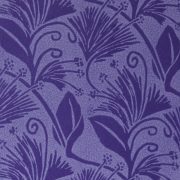 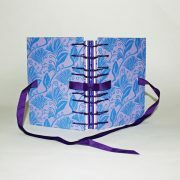 This beautiful book has handprinted covers in ‘travellers joy’ design on pretty mauve book cloth. 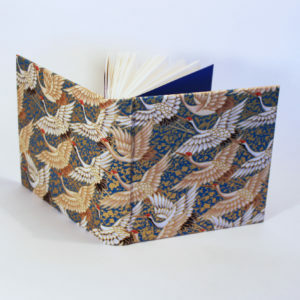 Printed in a pale blue to match the the dark blue endpapers. 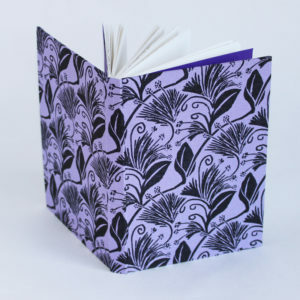 Coloured and printed papers distributed through the book add interest to the plain pages. Coloured papers are 135 gsm and the white pages are 140 gsm white cartridge. 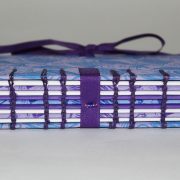 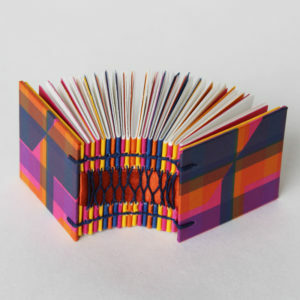 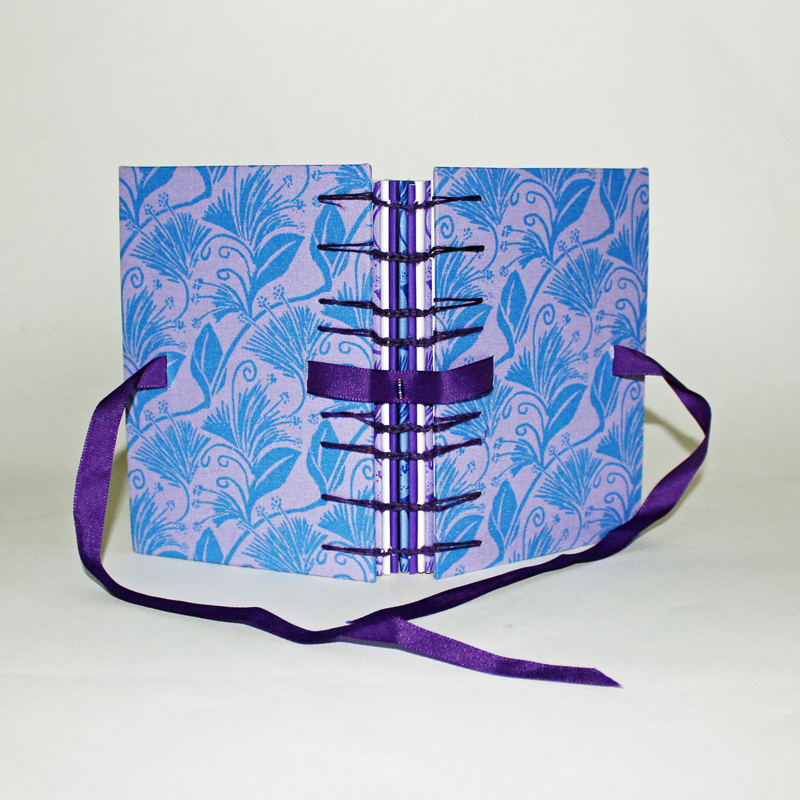 Coptic binding is secure but creates a fascinating movement in your hand as you open the pages.